Nova here! Are you looking for a shining star to brighten your evenings? 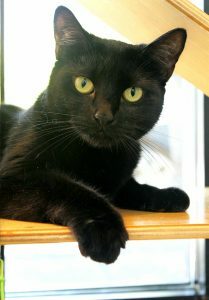 I am a very sweet and social 2 & 1/2 year old lady cat looking for a family to shine on! I’m a very mellow, “go-with-the-flow” type kitty and I’ve adjusted really well to my new environment here at Pixie after losing my previous home. I live in the Pixie cattery around lots of other kitties and seem to really enjoy the many human visitors we get to see each day — both big and small! I am more on the lazy side as I take nap time very seriously, but I will often get up and greet visitors when they stop by, since I love to get attention and pets and take social time just as seriously. I’m very sweet and easy-going and I think I’d do well in almost any home. I’m just waiting for someone to see my light and come find me so we can share the universe together. 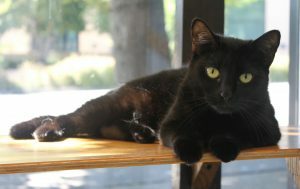 Stop by the Pixie cattery today! I think we’ll be best friends! I come to you fixed, vaccinated, and micro-chipped for an adoption fee of $100.